Maybe this is because Ryan Murphy heard our complaints last season, and decided it was time to give the people what they want. 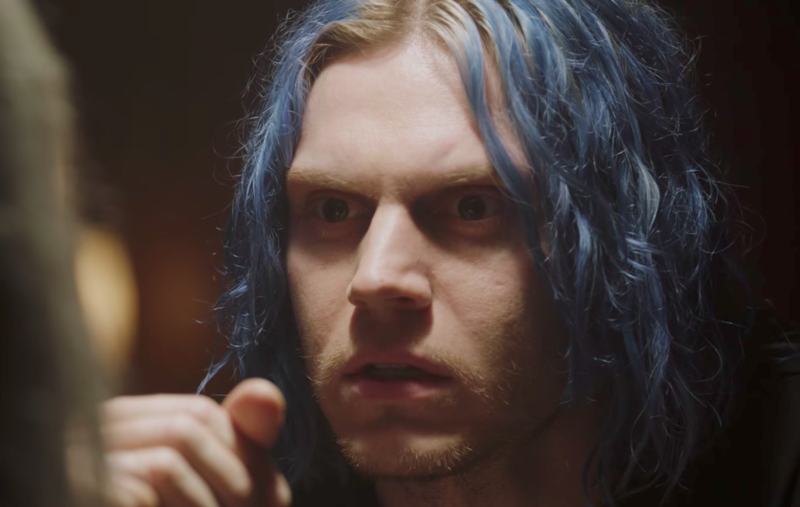 If you remember, last season on American Horror Story, Evan Peters was billed as a main cast member, and then showed up in like…two and a half episodes? The half episode is because in one episode it was just his dead body. It was upsetting for a variety of reasons. If you’re hoping for more Peters in AHS: Cult, good news, you’re getting so much more Evan Peters. The first three episodes of the upcoming seventh season was screened on Friday for critics and television aficionados, and I can proudly report that there’s so much Evan Peters. And for those looking for the MOST Evan Peters, even better news: He’s actually plating five different characters this season. This is the trade off for a sever lack of Peters during Roanoke. As you are probably well aware by now, AHS: Cult revolves around a — you guessed it — cult. While Peters mainly play Kai Anderson (the guy with the blue hair), he will also be portraying some iconic cult leaders. During a post-episode Q&A, Mr. Ryan Murphy spilled that Peters has taken on way more than just a new hair color this season. Along with Kai, he’ll also play Charles Manson, Jim Jones, David Koresh, and Andy Warhol (and possibly others). Well, that’s a lot to process. If you’re not well versed in your cult leaders, it’s okay — Charles Manson, is of course, known for the Mason Family murders, and it has long been speculated that eventually Murphy would do an entire Manson AHS season (he probably won’t); Jones was responsible for a mass suicide in mass Jonestown, Guyana in the late 70s; Koresh led a 51-day standoff with authorities that resulted in the death of 79 people (including himself); and Warhol…well, you should know Andy Warhol off the top of your head, and yes, while he was alive (and even to this day) he has a cult following. While Murphy was vague on specific details, he explained that one episode this season will involve these cult leader flashbacks, so be prepared to see Peters in a new light this season — scratch that, at least five new lights.